Do Du like the gummy bär song? a comment was made to the poll: Do Du like the gummy bär song? 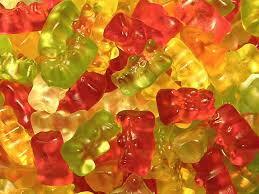 a pop quiz question Wurde hinzugefügt: T/F The recipe for Haribo's gummy bears is a closely guarded secret? T/F The recipe for Haribo's gummy bears is a closely guarded secret?